Dry Food for Cats - Bone & Biscuit Co.
At the Bone & Biscuit co. we believe in the Natural Solution. 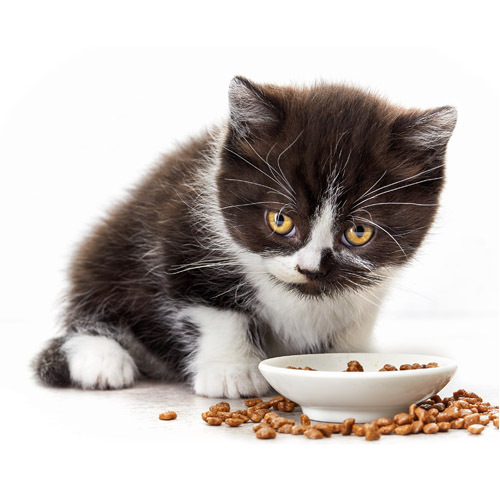 Dry food can be an excellent source of a healthy diet for your cat. But, finding a formula that works best for you and your kitty can be tough when there are so many options out there. That's why we commit to only providing the best brands in our stores. So finding healthy options is easy. We carry a variety of brands that offer grain-free, organic, limited ingredient, all natural, or locally sourced options for your cat. Feeding your cat healthy food doesn't have to be expensive either - we offer a range of different healthy dry cat foods to fit everyone's budgets. Dry Cat Food product and brand selection may vary from store to store.